POINT LOOKOUT, MO. — College of the Ozarks Vice President and Dean of Character Education Sue Head penned an open letter to Lands’ End CEO, Federica Marchionni, expressing the College’s disgust with the pro-abortion agenda touted in the recently released spring catalog. Lands’ End featured Gloria Steinem in the catalog as an honoree in their Legend Series. A percentage of sales was also earmarked to support Steinem’s pro-abortion organization. School of the Ozarks, a K-12 laboratory school, is located on the C of O campus. The uniforms for School of the Ozarks have been purchased through Lands’ End since the School’s inception. The School will no longer be a Lands’ End customer due to the clearly leftist, pro-abortion agenda. All School of the Ozarks families have been invited to return one of their shirts purchased from the company, and by doing so, send a message in support of traditional values. They invite others to join them in the stand against the pro-abortion messaging put forth by Lands’ End. Following is the letter addressed to Ms. Federica Marchionni, Lands’ End CEO, from Dr. Sue Head. For more information, please contact Valorie Coleman, public relations director, at (417) 690-2212. College of the Ozarks is a Christian, liberal arts college located on a 1,000-acre campus in Point Lookout, Mo. Christian values, hard work and financial responsibility comprise the fundamental building blocks of the “Hard Work U.” experience. The college earns numerous accolades yearly, including being named the #1 Best Value College in the Midwest for 2015 by “U.S. News & World Report.” To achieve its vision, College of the Ozarks pursues academic, vocational, Christian, patriotic and cultural goals. These goals are mirrored in School of the Ozarks, begun in fall 2012 for high school students, and the S. Truett Cathy Lower School, opened in fall 2014 to K-sixth grade students. Seventh and eighth grades were added in fall 2015, completing the K-college model. For information, call the public relations office at (417) 690-2212 or visit www.cofo.edu. Follow College of the Ozarks at www.facebook.com/collegeoftheozarks or on Twitter @CofOHardWorkU. College of the Ozarks can no longer be a Lands’ End customer. Your decision to feature a woman who is a well-known abortion activist as your Legend Series honoree, and to whom the company is giving a portion of proceeds for her organization, has resulted in our decision. I find it ironic that your cover features young children and their families having an Easter egg hunt when Ms. Steinem stands for ending life in the womb. We will not be part of advancing your agenda or hers. At College of the Ozarks, we believe we are called to stand up against those who seek to destroy the Judeo-Christian values upon which our country was founded. In your short tenure as CEO, it is clear to me that you do not know who your customer base is yet - but allow me to tell you about one who has spent more than $150,000 in your uniform division. School of the Ozarks is a K-12 laboratory school with nearly 300 students, located on the campus of College of the Ozarks. Ninety percent of our students demonstrate financial need, and because of that, the School provides full and partial scholarships for most families to buy uniforms from Lands’ End. 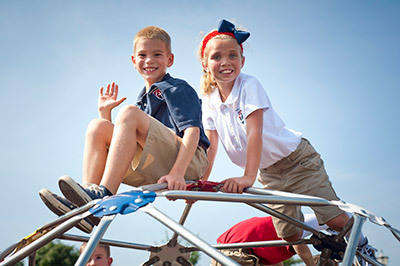 While overseeing the development of this Christian classical preparatory school, I made the decision to use Lands’ End as our uniform provider because of its longtime reputation for delivering quality clothing. This is not the first offense. Over a year ago, Lands’ End chose to send many of our families a GQ subscription as a “gift,” which they neither knew about nor requested. The cover of the first issue was a woman who was only wearing a lei. Needless to say after that debacle, Lands’ End was put on notice by our institution that the next time the company made a decision that conflicted with our values, we would be gone. Lands’ End is no longer the company I have trusted all these years, and I will be sharing with many other schools the action we are taking in hopes that they will join us.